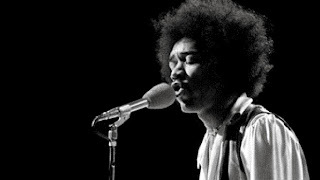 Spinning today in the 'rock room' is a eight minute black and white performance captured to tape, of the Jimi Hendrix Experience's performance on A Happening With Lulu, for BBC television January 4th 1969. This week is the 45th anniversary of this historic and stimulating television appearance which I will discuss here. 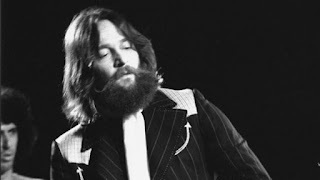 A few days after this show the band would embark on their 1969 European tour, which would contain more incendiary performances, but would also unfortunately expose the developing fractures creatively and personally in the band. The Experience's three song set here contains 'Voodoo Child (Slight Return), 'Hey Joe', and the 'surprise' version of 'Sunshine of Your Love', which was played as a tribute to the Cream who had disbanded that very day. Another reason for the songs appearance is that, rumor has it Lulu was to join the band on 'Hey Joe' to which Hendrix was not excited about at all. Hence the detour from verse two of 'Hey Joe' into uncharted musical waters, and the ensuing panic by the live television staff . I have included a link below to the entire uncut version of this performance for your review. Hendrix in baggy sleeves and his glorious electric blues man Afro starts off 'Voodoo Child' with a flourish, unexpected for television. The group is enjoying their delivery of these songs to the British audience, the vibe is palpable. Redding bass is crisp and bouncy and the band seems locked in from the beginning. The first solo break contains a nice collaboration between Redding and Hendrix intertwining their scales, oscillating together, a musical pinwheel. 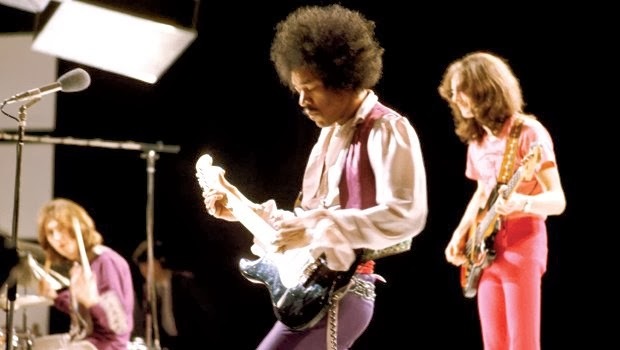 The second solo finds Mitchell, Redding and Hendrix thrashing and then soaring together, reaching an impressive peak then stopping much to soon, constrained by the confines of television. While not an expansive concert display, or containing a 'lost' rare track, the circulating video from Hendrix's appearance on the Lulu show in 1969 is a period piece that is fully worthy of inspection. Hendrix's humor and unwillingness to compromise artistically are on full display, and a joy to behold. As always, thanks for reading, and please follow my blog if you dig it.